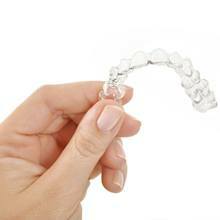 Invisalign clear braces offer patients a way to straighten their teeth discreetly and comfortably. However, before making this investment in your smile and appearance, you may have some questions about Invisalign and its process. Thankfully, our trained team of professionals have added the most frequently asked questions about Invisalign in Virginia Beach as well as their answers for your convenience. Invisalign has been used by over 6 million people, a number that is growing every day, to align their smiles with beauty and comfort. 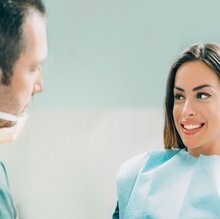 This treatment will be conducted under the supervision of one of our experienced dentists in Virginia Beach to make sure that everything goes smoothly and that your treatment stays on time. Dr. Stephanie L. Santos and Dr. Vinita J. Folck will carefully examine your smile before developing a personalized treatment plan to ensure the success of your alignment. The treatment time will vary based on the severity of your misalignment and how committed you are to our instructions for wearing them. On average, Invisalign treatment takes between 10 and 18 months to gradually shift your smile into alignment. 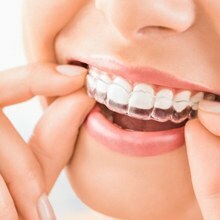 Afterwards, we will give you a clear retainer to wear to make sure that your teeth stay in their new position. This process is typically shorter than traditional braces. 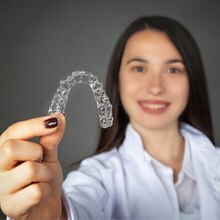 The cost of your Invisalign clear braces will depend on a variety of factors like your oral health, commitment to the treatment plan, original position of your teeth, and if you lose or break any aligners. Because of these many variables, the best way to get a fair and precise estimate is to schedule an appointment with our office. You can use the Invisalign Cleaning System to clean your aligners, but you can also use a soft-bristled toothbrush, mild hand soap, and lukewarm water. It’s important to avoid using hot water because it can warp the plastic permanently. Additionally, be careful not to drop your aligners on hard surfaces because they can crack or break.